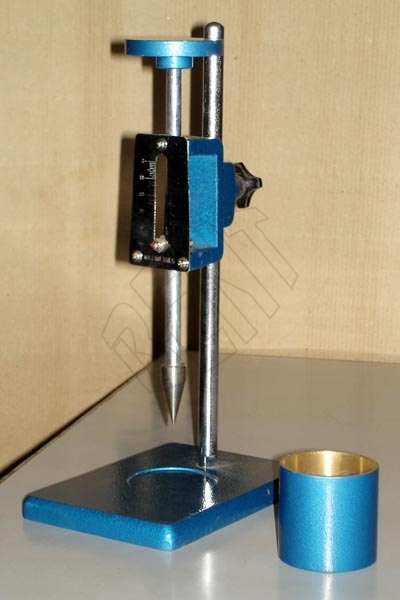 The Cone Penetrometer is designed and fabricated as per IS: 2720 (Part V). The Cone Penetrometer is used to determine the liquid limit of soil which has low plasticity index. The moisture percentage contents determined when cone with half angle of 30Â° under a total sliding weight of 148gm penetrates 25mm in soil sample gives the liquid limit. The Cone Penetrometer is supplied complete with standard cup of dimension 50mm dia x 50mm depth. This Cone Penetrometer is hand operated and scale type.